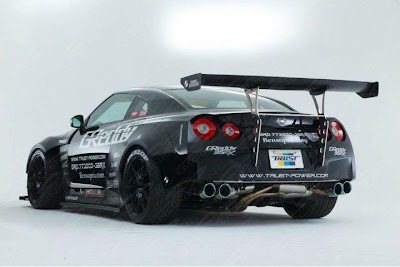 If wild body kits, and body modifications are your thing, check out the Ben Sopra Nissan GT-R. Speedhunters first showed the renderings of this car on their blog in October. The car was teased as a 1000+ hp monster to come from the shop in Osaka, Japan. The car sports a tilt front end, and huge vents for the front wheel wells. At the rear of the car, a cantilever mounted wing adds downforce. The full details of the kit should be released at the upcoming Tokyo Auto Salon, pricing is expected to be around $45,000. 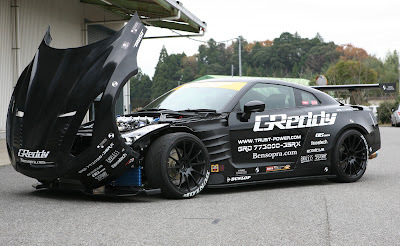 DSport Magazine had this to say about the shake down testing of "custom aero parts" on the Greddy 35RX. Tarzan would be shaking down the vehicle after the installation of some custom aero parts. The previous aero parts caused instability above 200MPH. With the boost set to 1.8 bar, Tarzan managed a best of 327KPH (203MPH). Gone was the shuddering and instability from the previous aero but drag had also increased. The result was shy of the 330+ KPH realized before. However, the data would be useful in optimizing the aero before the boost is raised to 2.0 bar (which delivers an additional 100 horsepower) for its future record-setting attempt.